HOW MANY COLLEGES HAVE BEEN INVITED? Approximately 105 HBCUs and other educational programs have been invited to participate. An estimated total 50 (schools and vendors) are expected to attend. ​ARE ALL OF THE COLLEGES OFFERING ON-SITE ADMISSIONS? IT VARIES. There is no guarantee that this will happen. You will need to speak to the representative on-site to inquiry about this option. It will not be possible for all of the participating colleges to offer on-site admissions. ​WILL THE APPLICATION FEE BE WAIVED BY A SCHOOL DURING THE FAIR? IT VARIES. It is up to the individual colleges to waive the application fee. However, if a Senior completes the Common Black College Application, onsite, that fee will be waived during the fair. IS IT NECESSARY TO REGISTER FOR THE COLLEGE FAIR? YES. Due to the limited amount of space available, on-line student pre-registration is required by the posted deadline. EVERYONE. It is highly recommended that every person that walks through the door to register. Students, parents, volunteers, vendors, etc. ​IS THERE A GROUP REGISTRATION OPTION? YES, though not in the traditional sense of submitting all registrations at the same time. At the initial registration point-of-entry, a participant can register as an individual or with a group. If the group option is selected, the person would need to setup the group name (if this is the 1st person to register) or select a group that has already been registered. We advise that the group leader complete the registration first as this will allow you to create a special college fair registration page and link for all persons associated with your group. As other persons register under the group name, the group leader will be notified and an updated list will be provided on your special page. The group leader also has the option to personalize the page to suite your style. However, we do ask, that a group leader would respect the registration process to avoid INCONSISTENT REGISTRATION. 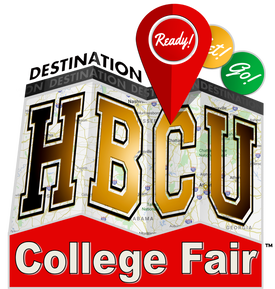 When you register for HBCU College Fair through our online system, you are providing specific and pertinent personal information to the individual registrant. This information will be provided to those colleges and/or universities that participate at the College Fair and its affiliates. Unfortunately, there are cases with group registration, the information is, in many cases, somewhat flawed because a person will register multiple students with the same information. This action negatively skews the data that is received. Though it may be a matter of convenience, we want students to be exposed to the simulated experience of completing a college application online. WHEN CAN A PERSON BEGIN TO REGISTER? Late Online Registration Begins at 6:00am on the day of each event. WHAT GRADE LEVELS MAY ATTEND THE COLLEGE FAIR? 11th Graders, 12th Graders and recent graduates are the priority. However students in middle school and other high school students are welcome to attend. NO. The college fair is FREE to all students, parents, educators, and supporters. There is a registration fee for participating institutions, program partners and vendors. WHAT KINDS OF QUESTIONS SHOULD I ASK TO A COLLEGE REPRESENTATIVE? HOW SHOULD I PREPARE FOR THE COLLEGE FAIR? Several HBCUs will be offering onsite admission to eligible students that meet the minimum admissions requirements with a completed application and other necessary documentation for acceptance. HBCU may grant you a scholarship on-site depending on their procedures and your qualifications. The Concession Stand and Lunch Room will be open. Lunch will not be automatically provided. Attendees are encouraged to eat a hearty breakfast if they plan to stay for most of the day. There will be a concession stand open during the fair with snack items ranging from candy, chips, popcorn and water for a nominal cost. The school Lunch Room will also be available. the typical options provided are hot dogs, hamburgers, fries, pizza, and soft drinks and juices. WILL THERE BE TRANSPORTATION PROVIDED FOR STUDENTS AND PARENTS? NO. There is no pre-arranged transportation or shuttles for the event. Students are responsible to making their own arrangements to attend the fair. There has been on occasion that a school or youth group will charter a bus and travel together as a group. This option is solely the responsibility of the group. WHAT IS THE DATE & TIME OF THE EVENT? The CCBCAA does not sell, rent, or lease any registrant information to third parties.